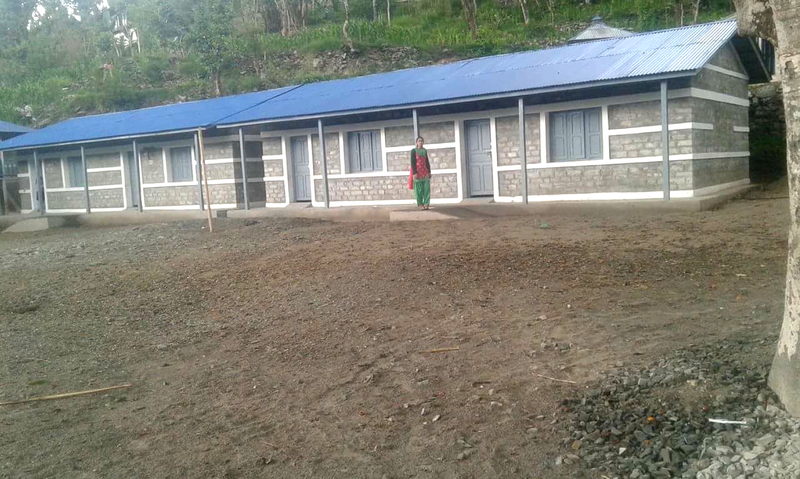 I have had incredible news today… Shree Barbot school has been finished, safely before the monsoon begins. Here is a photo of the two classroom blocks, each containing two classrooms. This entry was tagged build, construction, finished, Nepal, rebuild, school. Bookmark the permalink.